Great info from an organization we support. All-school Hands Only CPR training at Richwoods High School in Peoria, IL involving about 1,000 students. Where would we be without the folks in our Communications Center? Probably stuck in one place, not knowing where to go. Let's take a moment to thank them! Learn to save a life and have some fun in the process. We are here all day! We visited Springfield yesterday for lobby day. Pictures courtesy of Wes Smith. AMT had a great showing today at the Go Red for Women Luncheon in Peoria. The event was held in support of Women's Heart Health. It’s our own Yolanda Johnson! Good Luck to these students this week at SkillsUSA! It goes without saying that we are very proud of these young people! Justin Ploog shared some photos of the Unity Point Proctor National Paramedic Practicals. Enjoy the weekend, everyone! 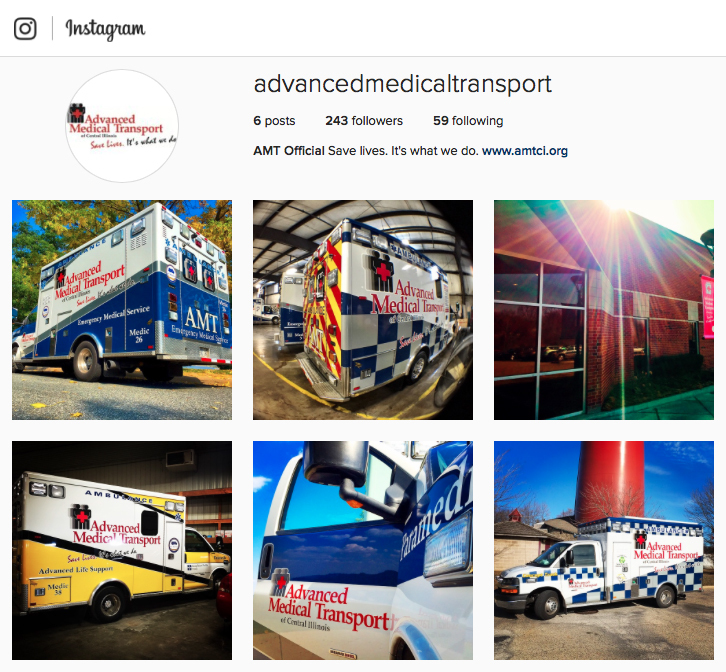 Advanced Medical Transport (AMT) is the premier provider of emergency and scheduled ambulance services in Central and Western Illinois. AMT also operates another enterprise serving clients in Southeast Iowa with diverse needs. AMT is a private, not-for-profit organization governed by a community-based Board of Directors. Our comprehensive team of healthcare professionals combine outstanding healthcare transportation with pre-hospital medical care that can make a profound difference for the people and communities we serve. Copyright © 2016- Advanced Medical Transport of Central Illinois. All Rights Reserved.